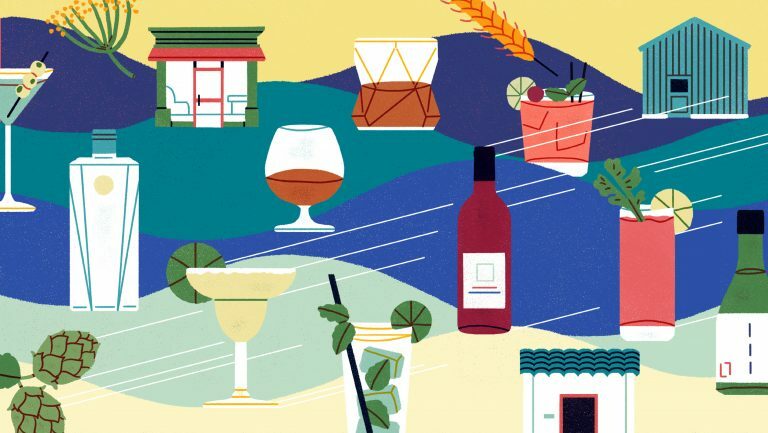 Master Sommelier Pascaline Lepeltier is a managing partner at Racines NY, a producer with Nathan Kendall of the Finger Lakes, New York-based natural wine label Chëpìka, and author with Alice Feiring of The Dirty Guide to Wine. 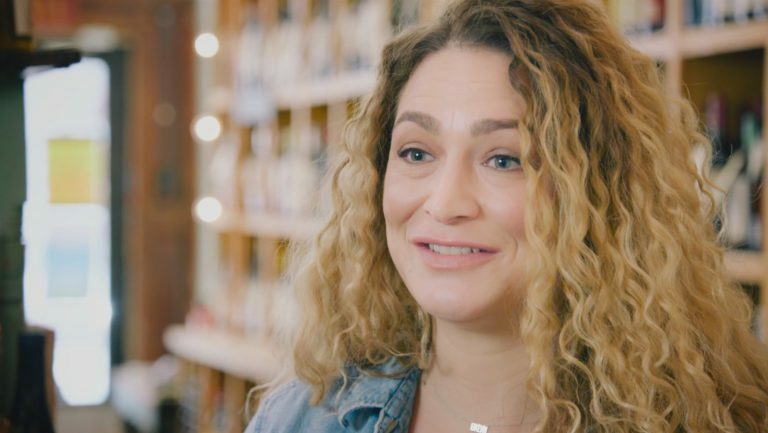 She is also highly respected among wine insiders for her former role as the wine director of Rouge Tomate Chelsea, where she created a world-class wine list that showcased a wide array of organic, biodynamic, and sustainably produced wines. 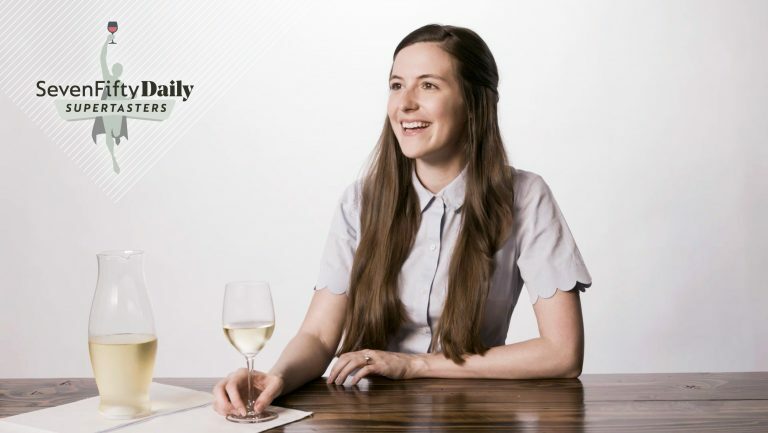 The list won her not only numerous accolades—it was deemed the Best Long Wine List in the World in 2017 by World of Fine Wine, among other awards—but a devoted industry following in the U.S.
After shooting our Supertasters video with Lepeltier, SevenFifty Daily spoke with the Loire Valley native about her most memorable wine experiences. 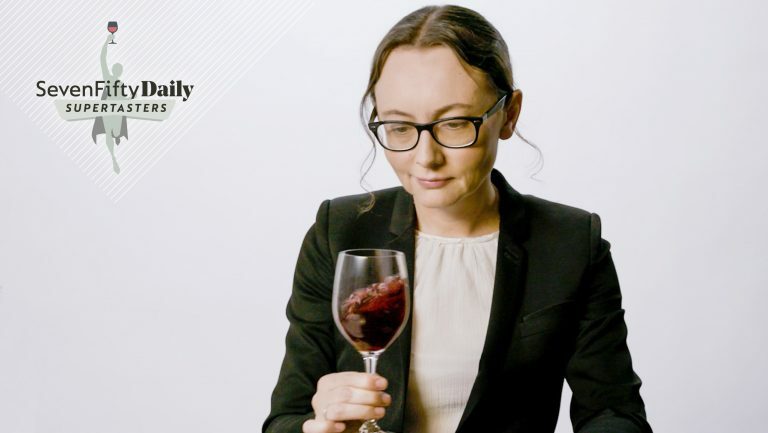 We also learned why she thinks blind tasting is such a critical part of the job for any sommelier, and why she believes that tasting with winemakers at their wineries is one of the best ways to hone your blind-tasting skills. Pascaline Lepeltier: That happened in 2005—with a 1937 Château d’Yquem. I was finishing an internship in a very big, famous catering company in Paris, and the company was organizing the wedding of the daughter of Bernard Arnault, the chairman and CEO of LVMH, which owns Château d’Yquem. The family were in Paris to taste food for the wedding and to evaluate the wine that would be paired with it, and they were going to pour the 1937. I couldn’t attend the tasting, of course, but the maître d’ knew that I was crazy about wine and he brought me the leftover from the test. It was a Friday afternoon, and that day I decided that my profession had to be wine, so I signed up very shortly thereafter for sommelier classes. The second thing I love about my job is that I’m able to be the person presenting the hard work of the winemaker and the path they took to go with an alternative type of viticulture, such as organic or biodynamic. I take my job very seriously to in supporting their work and the ethical decision they made to go this way, and I’m very proud of doing that part of the job for them. Honestly, I don’t drink that much by myself. I try to be very clean. I love Chenin, so we always have some Chenin at home. We also love sour beer. But right now, it’s a lot of kombucha, I have to say—a lot of kombucha. It’s more than 5,000, I would say. I’ve been doing that for a while, you know. I like to blind-taste a lot. I passed the tasting portion of the MS exam on the first try, so I was very happy about that. But I was in a competition two days ago, and I totally failed. No, I didn’t totally fail—I don’t really think of it like that. But they poured us a very entry-level type of red wine that you’d find in a low-cost grocery shop, and I gave it a little bit more credit than it deserved. I think it’s very important to continue blind tasting because we are so influenced by labels. Right away we have a judgment on the quality of the bottles, and we can very easily lose acuity to that. As a wine buyer, I want to be able to assess the quality of the wine by myself, without having to follow scores and critiques from other people—and I deeply believe that my job is to find potential in new, great producers. But you can only do that if you blind-taste. It’s very difficult to assess a wine without having any idea of where it comes from or any other details, so I think that becoming good blind tasters is a responsibility that we have as wine buyers and wine professionals. My advice is to blind-taste everything—not only a certain idea of a wine or a certain level of “fair” wines. 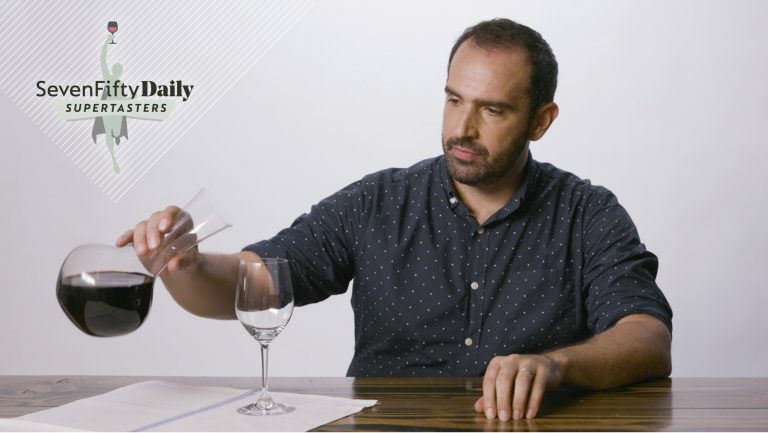 I think you have to be able to say if a wine is a certain quality or not, sound or not, and what its potential is—without having to look at the label. Sometimes I ask my reps to come in and give me some wines blind—you know, when they say, “We have a bunch of cool wines we want you to taste,” I like to do it without knowing what the wines are so that I can really judge their quality. Sometimes it’s like, Wow, that’s surprising—I would never have bet that I would’ve liked this wine if I knew what it was, and yet it was great. And with others, it’s like, Whoa, that’s disappointing. So I often use blind tasting for that reason. 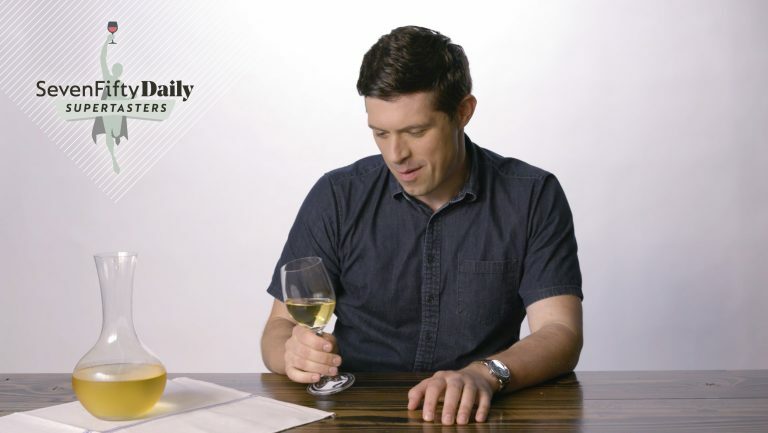 Once again, it’s about how as a wine professional you’re considered an expert, so blind tasting is necessary to make sure you’re reliable even when you don’t know anything about the product—if you’re able to assess the quality of that product as well as the amount of money you’d pay for it. I think first and foremost, you can’t just blind-taste. To become a good blind taster, you have to do two things. You have to really understand wine labels at face value. Otherwise, when you blind-taste a wine, it won’t make any sense. If you continue blind-tasting wine you never tried before, judging the wine correctly is going to be very difficult. The second thing is that you need to taste in wineries with winemakers. You’ll never become a good blind taster if you don’t spend time in wineries. The winemakers will be able to tell you what the wine is, of course, but let’s say you taste two versions of the same wine and one is from the tank and one is from the barrel. You can taste the same wine but experience the way the oak has influenced the wine; you can taste if the winemaker acidified the wine or added some fining agent—or if it needs a little bit of sulfur added. If you taste the wine with them at a critical stage, where there is a physical manifestation of the wine, then you’re like, Wow, okay, that’s what whole cluster tastes like with the pressed wine, and that feeling of tannin is coming from there, that acidity is coming from here. You don’t get all of that information if you just blind taste out of bottle. You have to go and taste with winemakers so they can tell you why the wine tastes like that, so you’ll know it’s because of that and that and that, and then you can apply that knowledge to the wine-tasting task. Otherwise, it’s all just a guessing game. Go taste with winemakers. Last year I got married—I was married for three years, but I had a ceremony in France last year, with really close friends, some of whom are winemakers. We got married in a vineyard in Savennières. As a wedding gift, a French winemaker gave me barrel of wine with the name of my wife on it. My winemaker friends filled the barrel with wine—they each put a little bit of their own wine in it. It’s the first time there’s been this kind of blend—with all of their wines. They’re some of my very dearest friends, so it will be a very magical wine. I’m very lucky to know them. The wine is a true symbol of friendship and a very powerful gift. It’s a Chenin, of course. We’re going to bottle it in two weeks, and it’s cool because it’s bringing us all together again, and we’ll be sharing a special moment, celebrating that we know each other very well. They’re all from the Loire, but they never did such a thing before, so it’s very special. And it’s pretty good wine too. For this round of SevenFifty Daily Supertasters, we gave Lepeltier a glass of red wine to blind-taste. Watch the video to find out if she guessed right—and to see if you have what it takes to be a SevenFifty Daily Supertaster.